Video : Altenew 2nd Anniversary Blog Hop! Seriously this three day hop has been so wonderful, how can you not be inspired! If you arrived here from Laura Bassen’s blog (Love!) then you are in exactly the right place (if not, then you best start here at the Altenew blog so that you don’t miss out on anything). For my first card I chose to use the Beautiful Day stamp set and these flowers make me sooo happy…. swoon, honestly one of my most fave flower sets ever, thank you Altenew! I added an embossed sentiment from the Sohcahtoa set, which is another ‘well loved’ set for me. I actually made this card for the hop and then thought I might as well make it again and film as I created so that you could watch the process. And I couldn’t stop at one card so I decided to use one of the new mini stamp sets. This is the Peach Tree and it has all the wonderful layered stamp goodness of Altenew. I kept it fairly CAS and Prismacolor penciled in some backgrounds to create a masculine design. Now it wouldn’t be a birthday party without some fun offers and BIG prizes……..
From here you are hopping along to Ellen Hutson the CLASSroom and the most incredibly talented Julie Ebersole. Have Fun! Peach Tree – Other Supplies: Prismacolor Pencils – Wrm Grey 20% / Eggshell / Light Umber / Goldenrod. < Previous Video : Cards 4 Men Using Images – Katz? Two absolutely gorgeous cars!! Love your work Therese, as always 🙂 Thank you for being on the Altenew team! The flowers are just so darn pretty! But now I am liking the colors too! I really need to get a set and try them out! Love the pop of blue colour! Oh my goodness – so lovely creations – I like the trees so much and the first card is wonderful as well – thanks for the video! Beautiful designs…LOVE that flower card-GORGEOUS!!! Thanks fro the chance to win!!! Especially love the gray and blue card…a comfort to the eyes. Beautiful! I love the contrast of the blues and grays together. Very nice! Wow! What great projects! I am in love with the color combinations and use of Altenew stamps. Thank you! Both are great and I especially love the understated colors of the first card. Beautiful day is my fave too, so versatile! What a gorgeous take on this stamp set with beautiful contrast and shading! Love the peachy tree too! Love how the flower pops out on the black and white card. Awesome cards. Such beautiful cards! I love the color palettes you chose, soft and charming!! Stunning designs…absolutely my favorite is the gray toned first card. Thank you. Simple and with class, loved the cards. Thanks for sharing! Thank you for the video of the first one. I like the colours of your stylish card. The “long panel” for the sentiment is a great idea; it makes it look elegant. Beautiful color tones on the card! Love the simplicity of it! Such beautiful cards, Therese. Love the soft tones in the flowers and the CAS tree card is stunning. Both of your cards are very pretty! Thanks for sharing them. Your cards are fabulous, I love the way you use colour! Wow! What beautiful cards. The contrast of the blue and gray is stunning! Thank you for sharing your creativity and adding to my wish list! I loved all of your cards today! I like the grey with the blues. 2 fabulous projects Therese. The first one is simply gorgeous. Love the splash of blue with the neutral tones! Oooh, love the trees card. It just screams lovely. Both your cards are lovely but the first one is simply stunning! These are lovely. I enjoyed your video techniques as well. Both your cards are really lovely but the first.one is simply stunning! Love the colour combination and its elegance! Both cards are great. Love the color choices on your cards. Both cards are beautiful! My favorite is the first one–love the pop of blue! Beautiful cards! I love the color combination on the floral card, it makes it look very elegant. Both of your cards are beautiful. I especially love what you did with the trees, the design of the card is so clean and elegant. You are one of my favorite cardmakers. I have the Beautiful Day set and I will be using your card as inspiration to make one of my own. Can’t wait to get the grey inks now. Beautiful, elegant card. Both of them. I love the elegance of the Beautiful Day stamp and the way you highlighted the blossom with color. Really lovely work. I really like Altnew stamps and ink. I love the colors on the Beautiful Day card. So pretty! Great cards. The first one is just gorgeous. Love this card Therese!! Thanks for sharing a video. I really love the colours you’ve used on this lovely card. Such a gorgeous stamp set. gorgeous love the triple stamps and love the new ink sets!! love the blue and gray! So loving the Altenew flowers. I LOVE your Peach Tree card! It is SO pretty in all its tiny crafty goodness! I love the design! Those flowers were lovely! Stay blessed! Beautiful cards. I love the subtle canvas weave texture you achieved with coloured pencils on the background of your second card! Very interesting! I love both your card designs. Beautiful card! I love the placement of your flowers and the coloring on the first one and great triptych on the second! I love your subtle color palette. It really highlights the beauty of the design. The first card is my favorite. Nice work! Awesome cards! I also love the beautiful day stamp set! It is so gorgeous! And I love the color combination you used on that card. Love both cards! The spotlight coloring on the floral card is gorgeous. I adore your masculine card; I find creating masculine cards to be a challenge so I appreciate the inspiration. Love your cards–the blue flower is beautiful. I love that Beautiful Day stamp set, too. Your card is lovely. I also liked seeing an example of a card using the mini tree set. I am really loving the gray! Beautiful, Therese, gray and blue – lovely combination. Your tree card is excellent as well. Great company, great designers, simply the best. Beautiful cards. I want to try the spotlight effect. I love the contrast of the shadow effect and the colored flower. Thank you for sharing!! Two great looks. Loving the blog hop! Stunning! I love the look of the blue with the grays. I will definitely be CASEing this one. Gorgeous cards and the silver sprinkles are so pretty!! I like the effect stamping one flower in color and the other flower and leaves in greys and lighter colors. Pretty. Lovely Peach Tree card, but man that Beautiful Day set is pulling at my heart strings, gorgeous card!!! Beautiful cards! I love how you only have one colored flower on the first card! I love your masculine thinking of you card! I bought the beautiful day stamp set already. Can’t wait to play with it. I bought this stamp set. Great card design to use!! So very pretty – love that blue flower. Your card is beautiful. I love the one blue flower. It really pops. What a beautiful card. I just ordered this stamp set and I can’t wait to get it so I can play and have some fun. Such nice cards. Thank you. I love this company! Love the blue and grey flowers! Beautiful cards. Loving the peach tree – so simple! Nice work – the cards have the nice soft and pretty look. LOVE LOVE LOVE your beautiful flower card!!! Love this card with the wonderful soft tones with the little pop of color. Om my your cards are so pretty!!! Beautiful cards! Thanks for showing the peach tree stamp set! What beautiful cards! I love the touch of blue on the grey and white one! Oooh especially the 2nd card.. so beautiful! The peach tree card is darling! The “Beautiful Day” stamp set is among my top 3 favorites (Vintage Flowers and Painted Flowers) but to be truthful, I love all 20+ Altenew sets (images and sentiments) in my arsenal. To say I’m a little obsessed is an understatement because I’m still adding and this doesn’t include the dies and inks. 😀 Happy Anniversary Altenew and happy crafting everyone! Love the blue flower on the first card. Is a nice focal point. Beautiful cards! Love the addition of the pencil colored background…takes the card to a whole new artistic level! Another gorgeous card, Therese! I’m so glad you’re part of the hop! I apologize…your Peach Tree card is so sweet, too! Very very pretty color scheme. Simply beautiful! Gorgeous cards. Love the muted colors. Thanks for sharing. WOW Therese, both of your cards are really lovely. This hop IS full of inspiration and I am totally enjoying it! I always love when a hop has such great video tutorials with such fntastic designers! Makes us ALL winners. TFS! Beautiful cards! I love the rose one. The colors are very pretty together. Your isolated blue flower with the grays is just stunning, Therese! And I’m thrilled to see Peach Trees used as mine is still in the package. Thanks for inspiring me. I love the burst of blue against the gray! Beautiful! So pretty. Love the “non-traditional” color combo on your flower card! Blue with gray = gorgeous combination! Love your card, Therese, and this is my favorite Altenew stamp set, too. Beautiful card ! I love the colors, blue and gray are magical together. What a beautiful stamp set and your treatment of it is lovely. I learn so much seeing what you talented designers creats! Two lovely cards, each in their own way. You are very creative. Fabulous flowers card! Enjoyed watching you make it too… excellent stamping! I love your color choices for the Beautiful Day card. So pretty! I love your cards. But card with flowers is my favorite.. Amazing design and beautiful colors! Thank you for the tutorial and your inspirational cards! They are just lovely. These are beautiful! I love the splash of blue on the first card. Beautiful cards. Thanks for the masculine one, those r harder to come up with. Yours was very nice. Both of your cards are beautiful. I really like how you add a touch of color to the first card, gorgeous. STUNNING cards. Love your colour choices. Love Altenew! Beautiful card! Thanks for inspiring us with creativity. Wow! Just beautiful….I love the colors!! I’ve been seeing a lot of uncolored stamping. Love the stamp set and your beautiful design. Your cards are wonderful and I love the beautifully colored flower. We so seldom see flowers colored in blue so I find them to be especially appealing. Great job. Thanks for the video too. I love both of your cards but the first is truly stunning! I LOVE those greys with the blue. So beautiful. Gorgeous cards. Loved those beautiful flowers and their coloring is absolutely amazing. Beautiful cards and I can see I need that gorgeous flower set. Theresa I love your card and the color choices you made. I love your card designs Therese, beautiful cards! beautiful inspiration – I love them both! Wonderful cards, Therese! Thank you for sharing! I love the Beautiful Day stamp set. What a pretty card. Therese – love your card – the blue and grey are just beautiful together. Both cards are beautiful. Your first card is my favorite. Thanks for providing the video. Beautiful work. I really like your designs. Such a beautiful card….truly stunning! I also love that peach tree….another must have! Lovely cards! Love the mix of greys and blues. Therese, beautiful! Love, love, the forever fabulous card, the color combo is gorgeous. Thanks for the video, sharing and inspiring. Beautiful card and you make it look so easy! your stamp choice and colors are great. Just beautiful. Thanks for sharing..
Beautiful – the one blue flower really pops. Such lovely cards…I’m especially drawn to the blue-gray one and that is not a color combo I myself use…maybe I will now! Thank You! Beautiful – love the bold blue flower against the black and white! Your cards are really pretty. Love them both!!! Thanks for the video too. Love both cards. Love the simple design and the simple colour schemes on them! LOVE both of these cards!! Great colors! Your cards are ALWAYS so wonderful and you videos are fantastic! What great new products from Altenew! Beautiful cards, I had never seen that Peach tree before, love the layers on it! This is the first time I have visited and I will def be back. Your cards are lovely and your tutorial was great. I think using grays makes some images look so elegant, like this one! The pop of blue among the grays is gorgeous! Beautiful cards, Therese!! Love the video, too. The colors look wonderful together. Atenew is just fab with the layering stamps. Great job! Beautiful cards–I like the soft colors. Both your cards are beautiful, but my favourite is the first one. Love the grey and blue combination. Happy 2nd anniversary Altenew! Beautiful cards! Love the color combo on the first one. Such pretty cards Therese. Love the soft tones on the first one… and oh, the flower arrangement is amazing… the trees are awesome on the second. You’ve made two really lovely cards here. The beautiful day flower set is one of my favourites too! The Beautiful Day stamp set went in and out of my cart several times yesterday! Seeing your card makes me realize I made a mistake not buying it, but it remains at the top of my Wish List for future purchases (can’t buy everything we want all the time LOL). Also love the simplicity & elegance of the Peach Tree card! Such beautiful cards. Thank you for sharing. Beautiful cards! I really like the simple one with the Peach Tree. Great job. Love your video as always! I just got that mini set so thanks for showing a way how to use the petite tree! Love the stamp set and card! Your cards are outstanding as always. I have the floral stamp set and I love seeing how other designers use it…very helpful! Beautiful cards! Beautiful Day is a gorgeous set! I Love the blue and grey tones you chose on the first card; they gave it that subtle pow! Thank You for sharing them! beautiful coloring on these cards. . . . These are beautiful cards.. Love the subtle coloring. Love the neutral colors with the pretty blue. Gorgeous card! Thanks for providing a video. That pop of blue is beautiful and your card is stunning! The peach tree card is very sweet. Beautiful cards and beautifully created. I especially love the Beautiful Day stamp set! Your Beautiful Day card is stunning! I just ordered this set and can’t wait to play with it! Your card is beautiful. I love the blue and gray colors together. So glad I found you (that sounds a bit creepy, huh?) What I mean is you’re such an amazing card artist with a unique sense of design. And so inspirational. Altenew really got a winner when they found you. Beautiful use of stamp set and inks. Trying to get a hold of the grey inks set. Every time I see the inks used, I love them. Beautiful cards, I especially love the one with the flowers. Awesome card! I love the blue and gray and that bouquet, gorgeous! Thanks for the tutorial. Thanks too for the great idea on how to use the mini set. So inspiring! I’m in love with the Caribbean Sky ink. The blue flower really pops off the card. Beautiful! Always Love your Cards Therese! Both of your cards were so nice, but the Beautiful Day (my new favorite stamp!) is especially stunning. Thank you for sharing. Two great cards! My favorite is the beautiful day. Love that stamp set. Love a lot your first card with the nice color choices ! Beautiful cards. I love the Altenew flower stamps. tfs! Beautiful cards. Altenew has so many lovely floral stamps. Beautiful card. And yes, this bloghop really inspire me! Love it! Love both the cards, beautiful color combo, love the muscline idea as well. lovely card! loving the color combo! I can’t get enough of the beautiful day stamp set!! Great cards! Good to see a really attractive masculine card design. Love these layer stamps. Your card is so beautiful. Love the pop of blue on your floral card. Thanks for sharing a video with us! I love that Peach Tree card. You color amazing! Great cards. Love the “beautiful day” stamp set. Gorgeous card! Love that blue! Your cards are fantastic. Thanks for the video. Absolutely fabulous designs, such inspiring cards!!! Both cards are lovely! Love the design of the second card! Love your cards, they are so pretty! The flowers from Beautiful Day set are stunning.I love how you mixed the colors. Love your cards! I definitely want the Beautiful Day set! I love your card using the Beautiful Day set, so subtle and beautiful. love the first card – I´m starting to get addicted to the Altenew flowers after hopping along for three days 🙂 🙂 🙂 TFS! You make it look so easy! Brilliant work! I love it! I forget just how pretty leaving all but one flower outline colored. I also own one of these mini tree sets and you just inspired me to make a masculine card. (One off the harder cards for me to make.) Thank you. Truly a beautiful pair of cards! Love the way you colored the flower. Just beautiful. I’m loving the subtle colors on the first card. The way you stamp in black on white and then highlight the flower with color blows me away! I love how you highlighted the one flower in blue. Great cards. Your cards are awesome! The first one takes my breath away! I really enjoyed the making of this card – you explain the process really well. I really love this color combo. The one blue flower makes it striking. What a great idea. Two very pretty cards. I am getting more inspired with a one color flower and the rest left untouched as I go through the hop. Beautiful card! So much love in your work. Lovely, just lovely. Awesome cards. Love the peach tree! Such pretty cards. I love the peach tree design. Wow!! stunning cards. I love the pop of blue on your first card and the silhouettes on the second card. What pretty cards. Thank you for the video. Both cards are wonderful! I too think “A Beautiful Day” is one of my favorite floral stamps. Love the idea of the trio of the tree stamp. Glad you chose blue to work with. Striking and classy card. Your cards are wonderful and those flowers are gorgeous! Thanks so much for the video too! Great cards…I especially like the blue/grey combination of your first card. Great cards. I really like the tree card. Really like the blue and gray, great combo! GORGEOUS projects! Thanks for sharing! I am so glad you are and inspire me. Your cards are amazing. Thank you for the wonderful films. Incredible cards by all of the designers on the hop. Happy Anniversary Altenew! Very beautiful card. I love how you positioned your flowers down the left side. I just love your cards! You are so creative! TFS! Beautiful cards…love the flowers and the touches of color! thanks for sharing! Great cards, love the use of colour to create an effective look on the first card. Love the focal blossom in blue! Oh Therese, your floral card is absolutely stunning! I’m desperate for those stamps, and you’ve made the yearning so strong! Beautiful work! Very pretty cards. I love that large flower! Really liked your cards-especially the one with the flowers as I am partial to pretty flowers. Your cards are lovely !! more stamps to add to my wish list ! Very pretty! Love the gorgeous flower card. Elegant. Love the blue and gray of the first card. Beautiful color combination. Love the simplicity of the second card. Nice job! Love the colors in your flower — the card really is spectacular! Only one flower in color! Inspired. Such a stunning card. Love the grays and blues together, great inspiration here!! Love the backgrounds on here! Hey Therese…I absolutely “love” that warm gray with the blue….so darn pretty! Thanks for sharing Therese. I am head over heels in love with your magnificently gorgeous first card!!! LOVE every single detail of it!!! Stunning and spectacular! TFS! Love the cool grays and then that pop of blue, awesome. I like the simplicity of the 3 little trees. Beautiful. The gray is interesting. I don’t usually associate that with flowers, but you made it work. LOVE your GORGEOUS colours and ELEGANT flowers, LOVE your BEAUTIFUL tree panels too!!! Both cards are beautiful, thank you for sharing. So beautiful – thanks for sharing. Love both! Beautiful CAS designs! Thank you for sharing. I think your two cards are amazing. Fabulous cards! The Beautiful Day set is one of my favourites & I love the softness off the grey with the blue. Really lovely. I SO want some of the flower stamps from Altenew!!! Your cards are lovely. The gray is so serene, and then the pop of color! Using the grey inks works so well with this beautiful blue, making it pop. So gorgeous! Very, very nice. It is so much fun to watch the layering process. I liked the unusual use of gray. Very pretty, the peach trees too! I love the colours you have used (and I can’t even see the blue in the grey!). Gorgeous card. Very different using the grays with the blues & minimal color!! That stamp set is awesome looking! I’m building up my layered stamps collection because I think they do an awesome job to make a beautiful card!! I have all of the ink sets except the grays. That will now change. I love the grays for the leaves to the flower colors show up more. Thanks for sharing that, I’m inspired. Your cards are wonderful. I’m especially drawn to the first card. Love the video on it thanks ever so much. You have very unique color schemes! Great cards. I’m really partial to the first; those grays with just one blue flower is a beautiful combo. Thank you for taking the time to make a video. I really enjoy watching them and I learn a lot. Delighted with the first card! Sophisticated and stylish! Delighted from the first cards: sophisticated and elegant! Your cards are awesome. The colors of the flowers turned out nice. Gorgeous cards! Love them both! Fantastic job. Love those layering stamps from Altenew. Fantastic card. Love the layering stamps from Altenew. Delightful cards, Theresa! I love the softness of the blue and grey card. Fabulous cards. I love the design layouts and stamping. Well done. Lovely cards! And so different! Love how the blue flower stand out in the first card! And the second one is so cute with the little trees! Gorgeous cards! Love how you completely created two different style cards to show the versatility of using Altenew’s products! Thanks for sharing! Wow! Simply perfect and elegance cards! Love, love, love! These are both wonderful, but I particularly like how you used the mini tree stamp. So cute! Great cards Therese – love the masculine card with the prisma coloured boxes – cool. The flower is gorgeous – such a hard decision for me between that and the Peony Bouquet set – shame the budget wouldn’t stretch to both lol. Another wonderful set that is on my wishlist. I adore the colours you used here, I don’t use blue enough but it’s beautiful! In a word-amazing! Love both cards! This bloghop is amazing. So many beautiful cards and ideas. I can´t wait to have my first stampset from Altenew. It is hard to get one in Germany. So elegant and pretty! Thanks for the inspiration! You have such a unique way of using Altenew’s stamps. Love both of your cards. Not sure if my comment went through. Great stamping and card layouts. Well done. Love your cards!! Always looking for cards with a more masculine look. Thanks!! Fabulous cards, i especially like the first one. Fantastic cards! It’s nice to see a masculine card too. I like the way you used the grey to high light the center flower. Beautiful card. I love both of your cards. The flower from the Beautiful Day stamp is gorgeous and the color combos of the new blue and grey ink are fabulous. Flowers don’t have to be red or pink. Lovely card. Thanks. Fabulous cards! I love the neutral colors with just a pop of blue color for the first card (and yes, I am partial to blue flowers). I also love tree cards (and have many tree stamps) — thanks for sharing your great ideas! Love the pop of blue color, simply beautiful. I love the pop of color on the grayscale card! Lovely!! Gorgeous cards! I’m partial to the Beautiful Day flower card – love the coloring and the design! Great cards! I especially love the first one! It’s so elegant! Wow–loved both your cards. The b&w with that splash of color? Fabulous. And I love how you used the mini set. I never would’ve thought of putting 3 in a row. Thanks for your work! Beautiful cards, but my favorite is the first card the use of the grays and the blues makes your card stunning. Very inspiring. Beautiful cards! I love the new ink colors and this is one of my favorite stamp sets! Love your cards. The blue and grey look so good together. Gorgeous cards! Love the delicate colours of the first one! Loved the colors you chose for beautiful day flowers. One of my favs also. You make the flowers look so real and the colors. Wonderful. Thanks. Love the soft colors you used then the pop of blue. What a gorgeous card! Thanks for the video too. I absolutely love your style, I wish I could think of the proper name for it. It is just stunning. THANK YOU so much for the inspiration and new ideas. Great job. Gorgeous cards, especially like the blue and grey card, absolutely stunning! How beautiful! I love the color of blue in the one flower, what a great new color. The grays are lovely too. I actually thought you may have watercolored the flowers at first glance. I did not realize it was a layering set. TFS! Stunning cards!! Love see them!! Beautiful use of the new gray tones! Love this card. Your cards are beautiful, thanks for sharing your inspiration! Love the use of gray – so pretty! Love your floral colors. I never thought about using grey. Beautiful cards but that first one is an absolute stunner!! Swooning over your gray and blue florals! new techniques and color combos. The Peach Trees create a fun design also. Thank you for such a great inspiration – I love color combo. Thanks for highlighting the versatility of these stamps…great inspiration! Love the blues and grays on your pretty flower card and the trees do make a very nice masculine card !!! That card is gorgeous, love the one blue flower, your video was excellent! What a unique card. I love the blues and greys on it. This floral set is a favorite of mine. It always looks beautiful. Beautiful cards!! Love the one with trees!! Beautiful muted tones for the first card and I love the clean lines of the second. These cards are just fabulous – so amazingly done and so creative!!! Fabulous flower and tree cards. Looks like something anyone can try, thanks for the ideas! Beautiful blue flower among the soft gray tones, love this card and the peach tree one! Love the blue and grey color combo. 2 lovely designs. I love the Beautiful Day set, too – never was making such a beautiful flower so easy, thanks to Altenew and their multi-step stamping! Great video. I think Altenew has the prettiest flower stamps. Love the blue and gray colors of your card! Love your cards the grays and blues in your floral card are gorgeous! Happy Anniversary to Altenew! Wow!!! Your cards just keep getting better! I love the blue and grey so much! The blue and gray look beautiful together as do your colored backgrounds in the second card! I love the grayscale with a pop of color! ❤ amazing! Beautiful cards! Can’t wait to see the video. Great creations. I really like the blue and grey color combo. These are beautiful! The gray with the pop of color on your first card is especially stunning! Beautiful cards, love your grey-blue colouring! 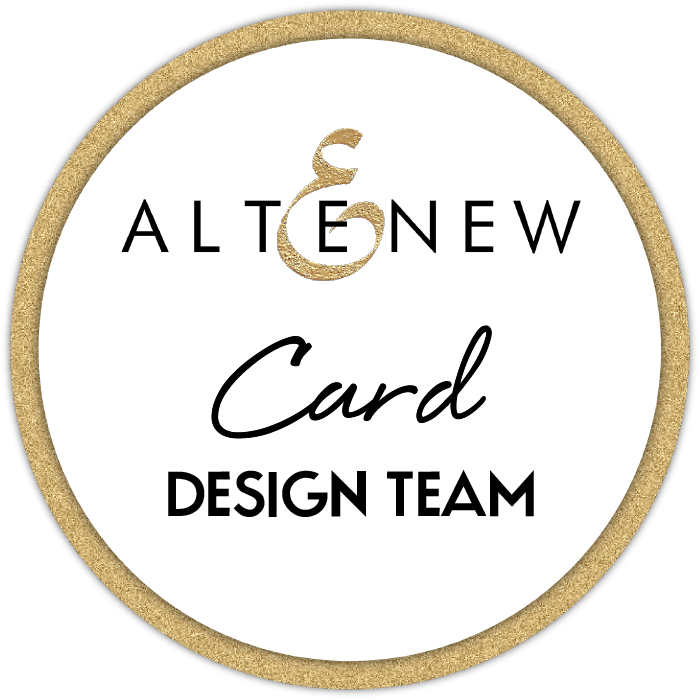 Love Altenew designs and love your wonderful cards! Love the elegant combo of blue and grey. And thanks for the great video. I love Altenew. But their multi-step stamps are a bit intimidating! After watching your video, I think I will finally take a chance. Also loved the layout of the second card. Love the peach tree design! The blue and gray combination on your first card is stunning. Thanks for sharing. Beautiful cards, love the blue with cool grey, simple and elegant! Vintage flowers was my favorite stamp set until beautiful day. I love the blues and grays. Thanks and Happy Birthday, Altenew. Lovely card. The beautiful day stamp set is one of my favorites. Fabulous cards! I’m always looking for ideas for masculine cards – thanks for the inspiration. Gorgeous cards Therese! Amazing technique. Love how these turned out! I am really impressed with the new grey stamp pads! Love how you paired it with the blue flower! Fabulous cards! I especially love that floral one! So pretty! Fabulous cards! Love the blue and and grey combination of colors! I am home, and catching up, Therese!!! Saving this video for ‘after laundry!’ I don’t want any interruptions! Gorgeous card, truly! The Beautiful Day stamp is such a beautiful set. I love the. coloring you did on your card. Wonderful cards! Thank you for sharing with us. Two very different cards, both absolutely fabulous! Love how the blue flower just pops. This card is gorgeous – I love the pop of color! The colors are so refined! Love it! Love both of your cards. The first one is just stunning – what a fun color combination. Thanks so much. Two great cards Therese, love how you have only used blue and Gray for your floral one. Wonderful cards! I love your masking on the first one! I love the cards you made. I love the trees and florals. Really love the first card! Thanks for the video. Love your Beautiful Day stamped card the best. Like how you just colored the one flower. Altenew is the best!! Your cards are so beautiful! Love the color scheme of the first one. So cool! Absolutely gorgeous cards! The flower one takes my breath away! Your cards are so beautiful! The flowers are absolutely gorgeous & the way you designed the tree card is wonderful! Thanks for the great video! Very elegant card – very soft yet the blue pops. I really liked the way you penciled in the background for your tree design. Great cards–the second was my favorite. I liked the simplicity of the trees. 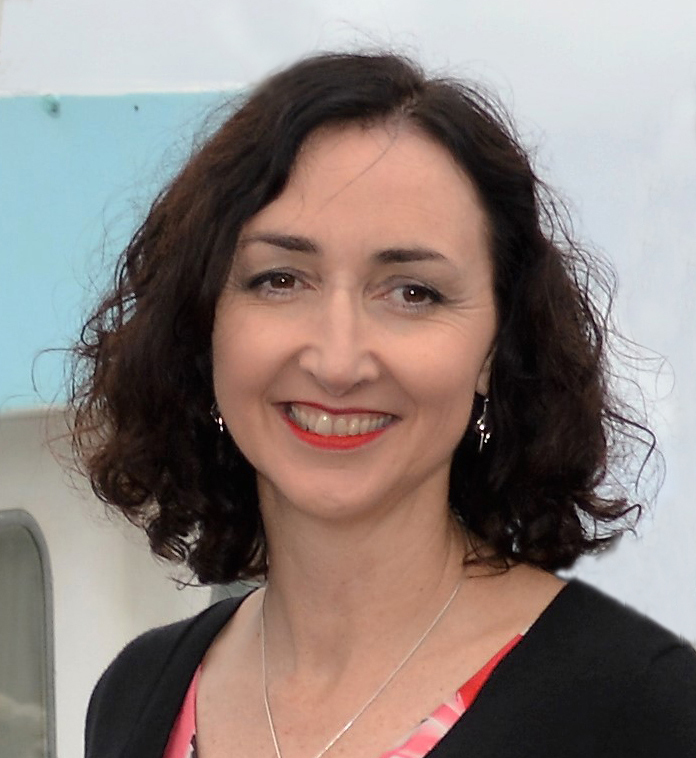 Therese, I always love your cards and your videos – they are unique and inspirational…. Beautiful card, I would of never thought of using grey for a flower, but it works quite well 🙂 thank you for the inspiration. Love your cards but I especially love the design and colours on your 1st!! Wow! So beautiful! And it’s great to have a more masculine card in amongst all the florals. Therese the flower card is so gorgeous. I’m a sucker for monochromatic and this is perfect!!! What a gorgeous and serene cards you’ve made! So pretty! I like how you highlighted the flower in blue on the first card. Your cards are both wonderful, but that first one is absolutely gorgeous. Inspirational! Those flowers are amazing! I love the blue with the gray and how you arranged everything. I also love the panels you created with those sweet little trees! I love the contrast in the color. It really brings out the blue flower in the card. Gorgeous! Love that blue and gray card, Therese! What beautiful cards! I never thought I would use much grey ink but I think you sold me. Just ordered the warm gray inks! I love the combination with the blue! Your subtle colors in both cards are lovely! Thank you! Great cards! Love the pop of blue on the first one! Love that first card (I guess I just love flowers) but especially the video so that I could see how it was done! great job!!!! So soft, pretty, and stunning! LOVE LOVE LOVE!!! I LOVE how you colored the cards! The color combo on the first one is great!!! The tree card is so cute! I think it would be fun with safari animals too! Love the contrasts of colour…amazing card! Did not know ,with less colours, we could make such a beautiful card!! The new blues and greys are just beautiful and this card shows them off to their best! Also, athe peachtrees are darling! Very pretty cards!! I love that mini stamp set and the card you made with it! Thank you so much for the video!! love the grays and blue. Your grey and blue card is AMAZING! !